So… what do we know about Eric Hall? Prior to becoming a players agent he was a backing vocalist for Tiny Tim. Hall was one of Freddie Mercury’s “girls”, ie boyfriends. Can’t remember what his “girl” name was. Didn’t he nearly die of E-coli? 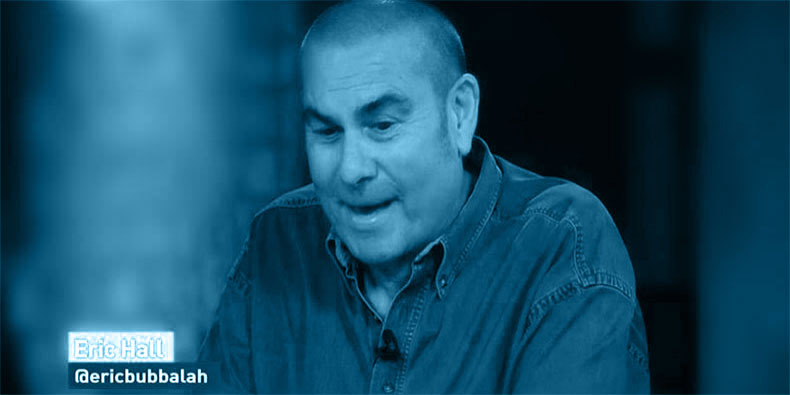 My aunt once bought me for Christmas a VHS tape called “Eric Hall’s Monster-ish Hits” which was essentially Eric Hall doing a Noel Edmonds style gotcha to people in football such as Neil Ruddock, Bobby Gould, Dean Holdsworth it’s cheap but has a novelty value to it but the one he does to Ray Wilkins I must admit is funny.